Once upon a tim…. Fairy tale or reality? Dia dress style will take you to a world of extraordinary fairy tales, beautiful princesses and brave knights! Dia is a delicate, airy dress worthy of the queen! It is decorated with many original details. 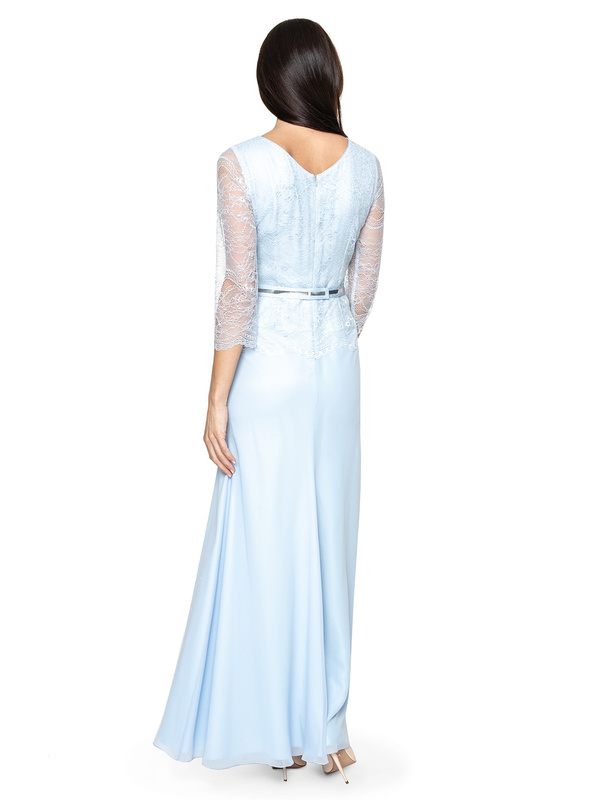 The top of this blue and shiny dress is covered with a thin lace layer of fabric reaching down to the hips. The neckline is decorated with sewn-in applications. 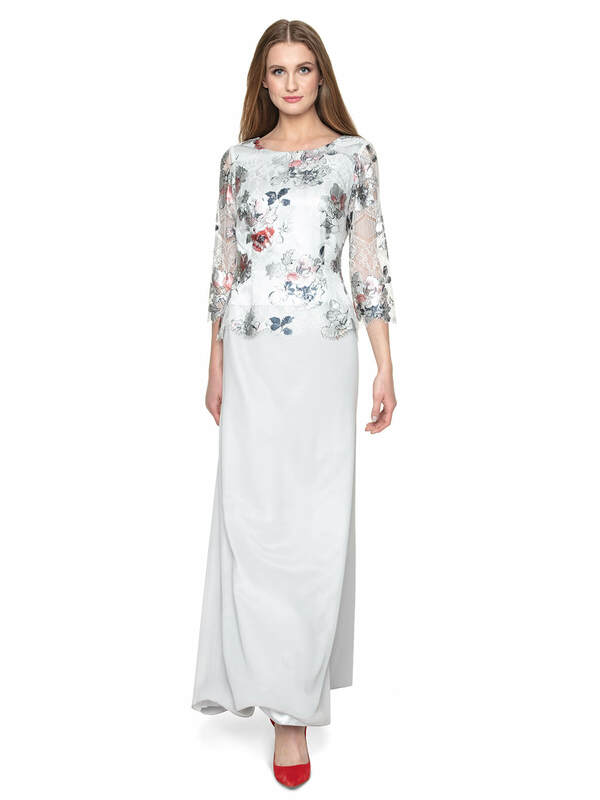 Dia dress’ sleeves are very decorative and translucent. The waistline is decorated with a silver decorative strap. The dress is maxi long. 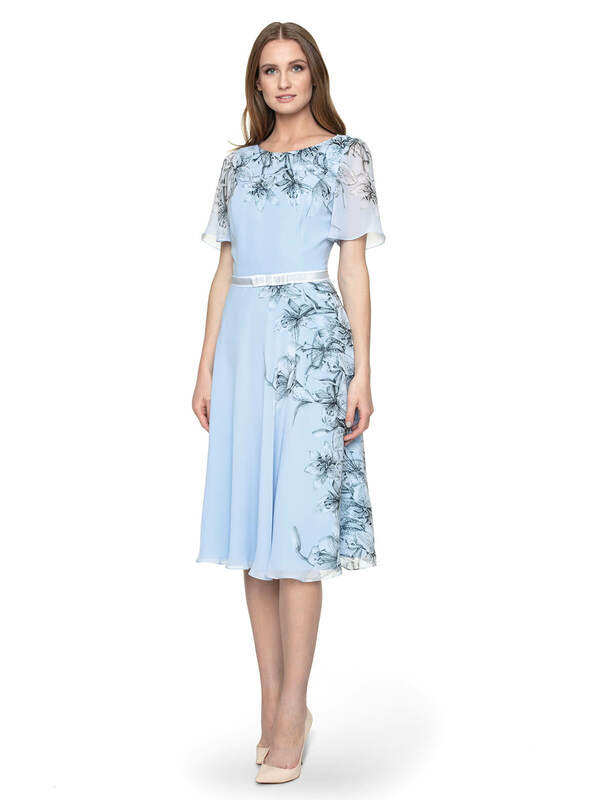 The only accessory you need for this decorative dress is a pair of classic and simple cream or beige high heels.